When most people think about southern California they envision sunsets over the Pacific Ocean, surfing, the world’s best climate, wonderful restaurants and countless places to visit and enjoy. 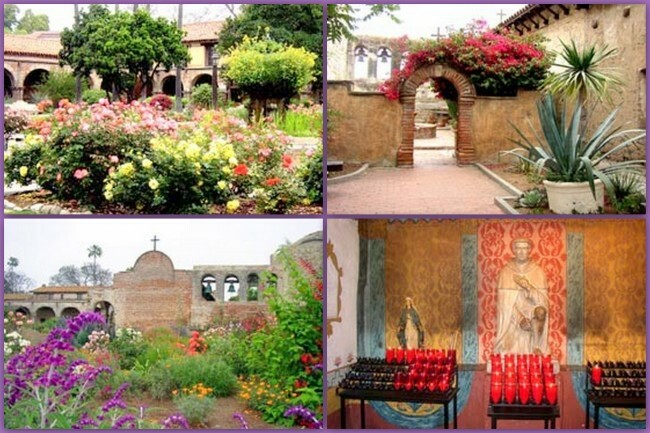 In addition to all that (and it’s all true) another site well worth your time is the Mission San Juan Capistrano: an historic marvel with an ancient allure, drawing you back into the Old World. Officially dedicated on October 31, 1776 (following an unsuccessful start-up in November of 1775) this adobe complex hosts the oldest church (the Sierra Chapel) in California. It is still in use today. 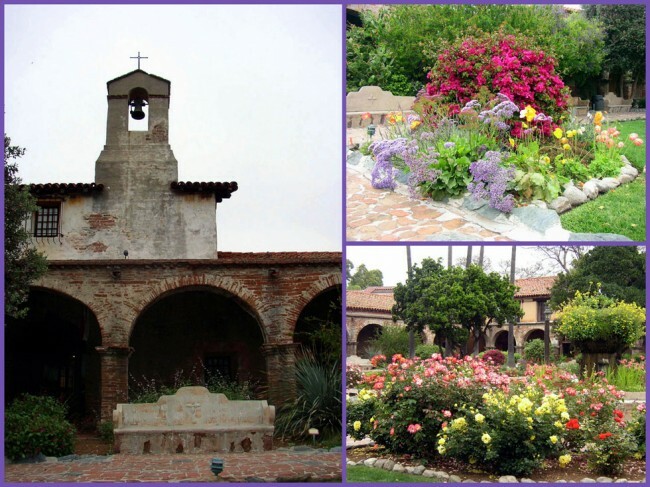 The mission is a monument to the early days of Orange County. 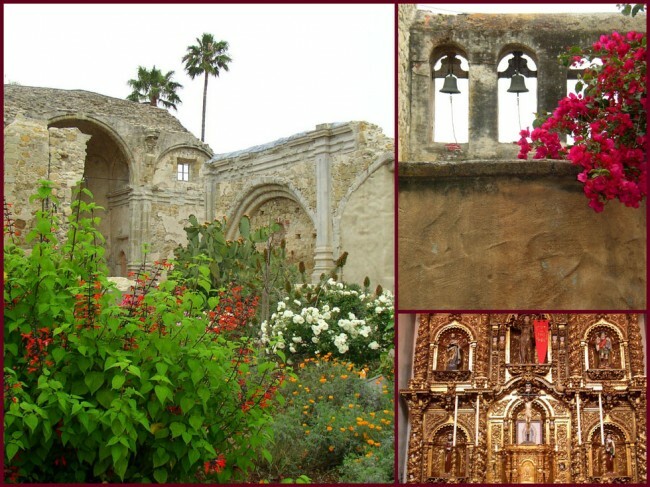 It brings together the histories of: the Spanish, Native Americans, Mexican and Europeans. which all converged in this place. Today’s visitor can well image the Mission as a “work of art”. Walking along ancient cloisters among fabulous flower gardens gives the sightseer the distinct impression that these old earthen buildings have watched the “world go by” unaffected by time and world events. Red bougainville drapes a beautiful arch on the main corridor as water lilies float on the surface of an old Moorish fountain in the center of a patio. 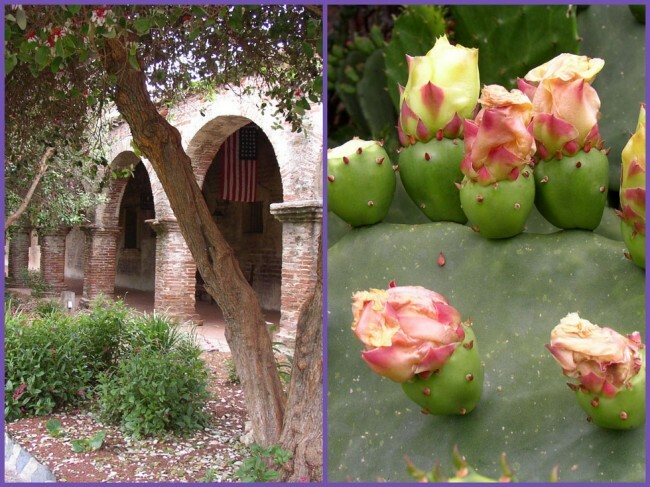 The astute visitor will notice that the trees and shrubs are not of California, but have traveled the seas from distant lands to grace the gardens of the Mission. The flora, timeworn paths and shaded walls give a contrasting perception to this place, fiery magnificence with the colors of the gardens, yet an almost subdued air as well. It is a place of many moods. The site is open daily from 8:30 am – 5:00 pm. It is closed on Thanksgiving, Christmas and Good Friday afternoon. It closes at noon on Christmas Eve. For more information on prices and location, you can call (949) 234-1300. As you stroll through this 10-acre site, take time to discover all the nuances that it offers. Listen to the tolling of the ancient bells, walk through the gardens, explore each building and breathe in the air of antiquity.